The WGL Designs 41032 X10 Wireless to USB Transceiver Module is designed to receive X10 RF signals generated from X10 products: Palm Pad remotes, key chain remotes, Hawkeye motion detectors, and many, many other X10 RF devices. 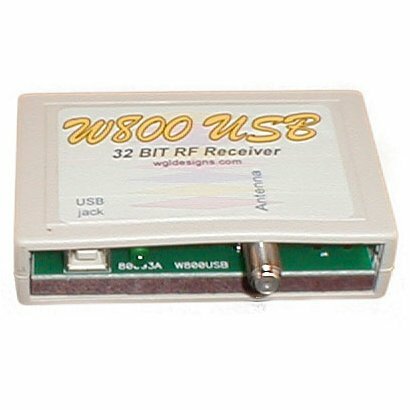 The Transceiver Module then sends these commands directly to your computer's USB port. This allows your computer to receive X10 RF commands from remotes and motion detectors directly, without having to broadcast any power line commands, thus minimizing power line clutter and improving home automation response times by bypassing the usual power line delay. If you have any questions about this product by WGL, contact us by completing and submitting the form below. If you are looking for a specif part number, please include it with your message.